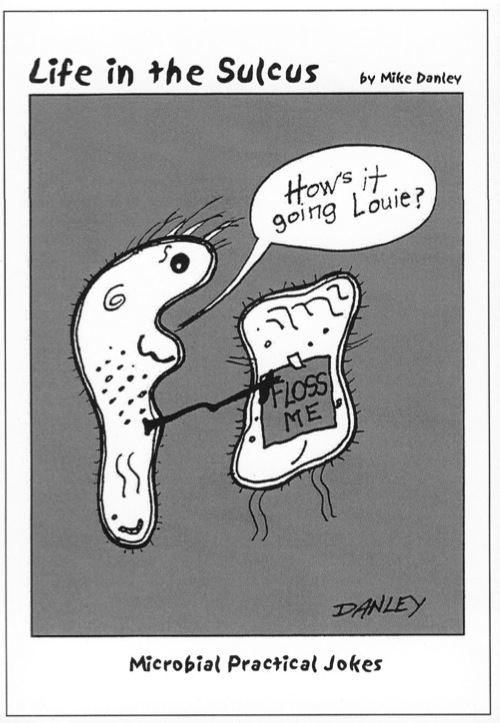 “Life in the Sulcus” is a dental comic created by Mike Danley that showcases the humorous lives of microorganisms of the mouth. Mike is a former dental hygienist who also runs DentalPosterArt.com. You can find more of his comics as well as many other pieces of dental art on his site. Go check it out! © Property of Mike Danley. All rights reserved.